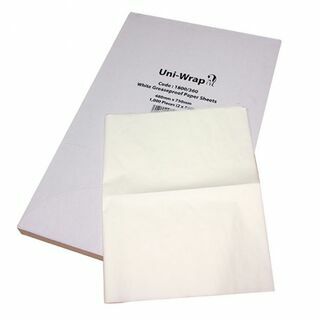 These Greaseproof sheets are ideal products for Fish & Chip shops or any takeaway food outlets which need a food grade sheet that can be quickly fitted, to then quickly absorb fat. Use them to line our cardboard takeaway trays. 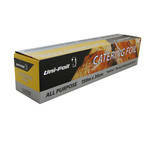 Uni-Pak aluminum foil is a high-quality product, designed to provide a higher resistance to punctures and tears. 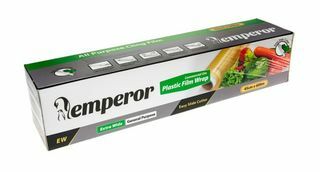 This makes it great for covering and transporting larger surface pans and trays, as well as covering and lining hot cooking surfaces. 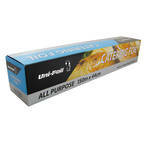 Packaged in a convenient cutter-box dispenser, you can quickly and easily pull out the desired amount of foil and tear off by gently pulling down across the teeth of the blade (making daily prep and clean-up a breeze). Aluminium foil can also be recycled if cleaned prior to disposal.